Direct plans of some of India’s best actively managed equity funds will now be available at an unbelievable TER of 50 bps. Great for investors, but have we overdone the low cost drive and damaged the industry? Closed ended equity funds are now effectively Closed. Ended. 85% of India’s IFAs do not have the ability to absorb margin compression and a further 12% will face serious challenges in absorbing its impact. Fund houses need to devise sensitive mechanisms to pass on margin compression on the basis of load bearing capacity, if it has to keep its IFAs within the industry. At least the suspense is over - that’s the bright side of it all. Now we all know exactly how badly the industry will hurt with expense ratio cuts. And where it will hurt the most, and where it won’t hurt at all. 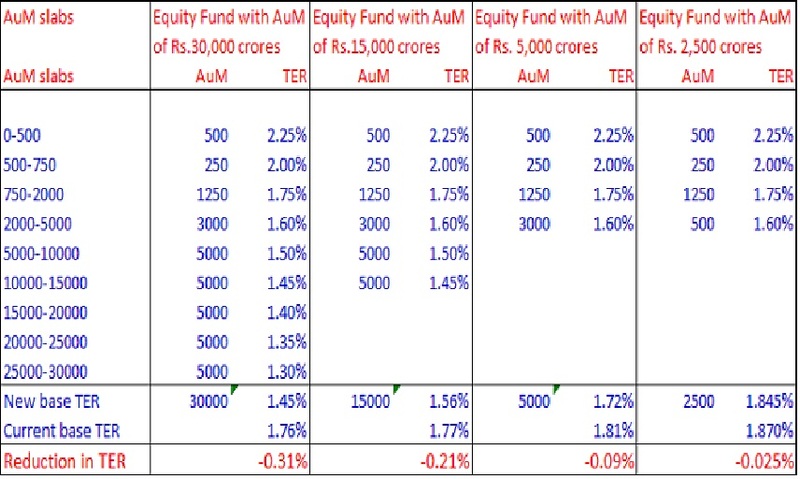 So broadly, equity oriented funds with less than Rs.2500 cr AuM are unaffected (I believe the actual break even point is around Rs.2250 crores). The larger the fund, bigger is the TER cut, with the very large funds (above 30,000 crores) likely to see a TER cut of around 30 bps. Small funds always had an ability to charge more than larger funds and nothing much has changed on that score. The actual impact at a fund house level will depend on the composition of their equity book, but broadly one can perhaps put a range of 5-15 bps as the dent in total income from equity books. How much of that will impact their bottom lines will depend on how much is passed on to distributors and how much is absorbed by them. There is of course this heated discussion in the industry on the effective implementation date – SEBI’s press release is silent on this aspect. If the press release has to find its way into a Gazette notification to become effective, one would imagine a couple of months from now as the earliest implementation date – but we need to track this closer to get some sense on timelines for implementation. The real sting for distributors is not however in the new TER slabs, but in other decisions made during today’s SEBI board meeting. The best practices circular of AMFI on commission payouts, which was not respected by many fund houses, has now been substituted by regulatory fiat. No upfronting of any sorts (except SIPs). No question of fund houses paying above distributable TER since all commissions and distribution expenses have to be charged directly to schemes and cannot be absorbed by fund houses in their own P&Ls. The days of paying above DTER to large distributors for the first year or two are now over. The days of upfronting 1st year trail now over. The days of absorbing foreign junkets in AMC P&Ls and not reflecting it in commissions charged to schemes are over. Only trail based commissions going forward – period. Junkets may still be on – so long as they are debited to schemes. Distributors who didn’t see this writing on the wall all this while and who were still going after upfronting, will now have to adjust their business models to an all trail model – like so many far sighted IFAs have already done. Actively managed bluechip funds: now available at 50 bps TER! Some of the biggest actively managed marque equity funds in the country will now have direct plans at a mouth-watering 50 bps TER. In the table above, the larger sized funds will now have regular plan TERs between 1.45% to 1.55%. With the gap between regular and direct plans currently running around 1%, direct plans will now be available at an unbelievable bargain of around 50 bps. Where else in the world can retail investors get funds with fantastic 10 and 20 year track records of alpha generation at such a low cost? Great for the investor in terms of costs, no doubt. But has the regulator carried its low cost drive a bit too far? Media headlines screaming 50 bps TER will undoubtedly put pressure on the intermediation fraternity to slash its margins to retain customers and therefore result either in more illegal passbacks or more arrangements of splitting investments between direct and regular to achieve agreed outcomes. Closed ended: Now closed. Ended. Then there is the issue of TER for closed ended funds. The new TERs for closed ended funds are capped at 1.25% for equity oriented and 1% for others (like Cap-Pro for example). With a 1.25% TER and no upfronting allowed, the incentive to sell closed ended equity funds looks permanently closed. The sting in the tail on this one can be vicious. Fund houses who recently concluded closed ended fund launches and who have paid out hefty upfront commissions over a 3 year period of assumed TERs will now find the total payouts significantly exceeding the new TER over the coming 3 years. If a fund was assumed to have a TER of 2%, which meant 6% expenses over 3 years, and the fund house paid out 4-5% as upfront commissions, it can now recover only 3.75% over 3 years as TER. Who is going to bear the loss? Will commissions be clawed back? Who will get stung finally by this one? The picture for hybrid closed ended funds like Capital Protection Funds now seems a lot better for investors. With TER capped at 1%, distributor interest may be limited, but for investors, the product can now start looking a lot more attractive. Will low margin-high volume oriented online distributors now start aggressively pushing cap-pros to win new clients who value safety above returns? In a welcome move, SEBI has rightly decided to disallow B-30 incentives for big ticket money. It wants to pay out B-30 incentives only by way of trail and only for retail investments, and says it will consult the industry to define what constitutes retail. One would have thought that a more equitable solution would have been to allow these incentives for all retail money – whether coming from T-30 or B-30 cities. No city in India can be said to have been well penetrated by mutual funds at the retail level. The industry must continue its lobbying efforts to convert this incentive from B-30 retail to all retail. Distribution is only a long term business – but for how many? With all avenues of upfronting being shut, and trail being the only way of remuneration, only serious and long term players will remain in distribution. The key question however is how many will be there. There is a direct impact of lower TER on commissions – which could vary between no change to 20 bps cut in trail for larger funds. Then there is the issue of indirect pressure on revenues due to direct plans becoming unbelievably attractive on price. How many distributors will really be able to absorb the impact of margin compression? Here are some numbers that all of us ought to look at closely and absorb fully. In our recent annual conference, Ajit Menon of DHFL Pramerica shared some eye-opening statistics of the IFA channel segmented by AuM buckets. In the table below, I have used his numbers in the first 4 columns and then have proceeded to analyse this data into actual monthly income of IFAs in each AuM segment – to understand better the ability of IFAs to absorb margin compression. In this analysis, I have assumed an average existing trail of 1% for all IFAs. 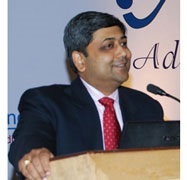 Larger IFAs receive more than 1% on new equity assets, but also have historical assets at lower trail and a much larger debt AuM proportion which brings down their weighted average earnings on their book, while smaller IFAs earn relatively less as a percentage, but have almost all their assets in equity, thus shoring up their average earnings on overall book. I have also assumed that the 18% GST hit does not impact those earning less than Rs. 20 lakh – which excludes the last two segments. And finally, I have made a simplistic assumption of 70% PBT margin on net revenue – this will vary from IFA to IFA, but broadly, it won’t be way off the mark as all IFAs have costs of infrastructure and client servicing to pay for from their revenues. Larger firms earn more but also spend more on office infrastructure and teams. On the basis of these thumb-rule assumptions, I have arrived at a monthly pre tax income for each IFA segment. There are about 69,000 active IFAs with some AuM against their name. Of this, 85% have an AuM less than Rs.10 cr each, and their monthly income is so low that they have zero capacity to take any hit on their already low levels of income. Any reduction in trail will most certainly mean them going out of business – and we are talking about 85% of India’s IFA force. Then we have another 12% of IFAs (8395 IFAs with AuM between 10 – 50 crs) who are currently earning an average monthly profit before tax of around Rs. 100,000 – a segment that falls squarely into India’s middle class. Ask any middle class person what he would do if his employer decides to cut his salary by 15%, and the answer will be clear – find another job. Let us understand this very clearly – the proportion of IFAs who have little to no ability to withstand a cut in trail commissions is as high as 97% of the overall IFA base, accounting for 48% of IFA assets. The manner in which these TER cuts are passed on to distribution will critically determine how many IFAs remain in this business. When AMFI came up with its sledgehammer “pass the 15 bps uniformly to all” line, it impacted the small IFA the most. Thankfully most AMCs did not implement the last trail cut in that manner. It is imperative that fund houses now pass on commission reductions on the basis of what can be borne by each segment to ensure that small IFAs don’t just pack up and leave. We have seen suggestions from Ashish Goel and Viskit Rohatgi on WF earlier on equitable solutions to pass on trail reductions. Broadly the thinking was to leave all trail below 1% untouched and progressively cut trail commissions as they scale up towards 1.5% and beyond. Fund houses need to be sensitive even as they do the inevitable – which is pass on some of the burden of TER cuts to distributors. Will volume growth ease the pain? The big bet of course is that volume growth will offset margin compression and therefore result in a win-win for all – investors, fund houses and distributors. We have been a beneficiary of huge volume growth over the last 4 years due to the confluence of many factors – a vibrant stock market, poor returns on alternatives (property, gold and deposits) and demonetization aided financialization of savings. Many of us would like to believe that our growth is more structural and less cyclical. Only time will tell – when the next bear market descends on us as it will inevitably, we will know how resilient our new investors really are to market cycles. That will critically influence business volumes and therefore our ability to absorb margin compression.